14K Rose Gold setting feature a 5mm x 7mm oval cut center morganite. The beautiful light pink center stone is surrounded by 14 white diamonds that total 0.11 carats. Earrings are secured by push back posts. 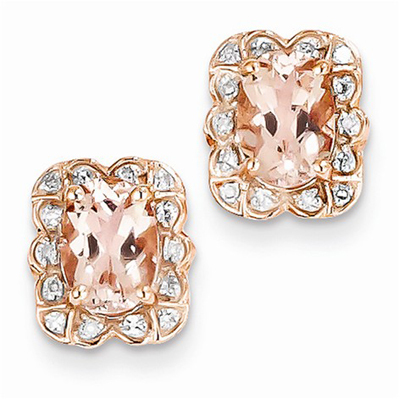 We guarantee our 14K Rose Gold Morganite and Diamond Post Earrings to be high quality, authentic jewelry, as described above.